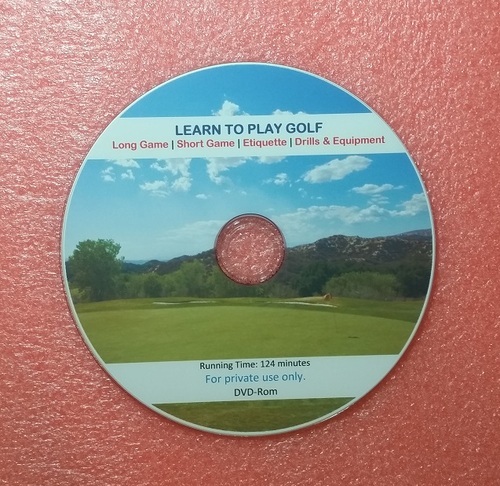 Learn the secrets of how to play golf with these set of 4 videos, Get great tips and advice, Get great tuition with these well explained golf lessons. Are you or anyone you know struggling with the game of Golf? Are you looking to improve your game or be the next Tiger Woods? These amazing set of 4 videos are packed with training tips and tricks to help you get the best out of your game, your be shown how to improve every aspect of the game. Your get shown different scenarios that crop up in the game and how to best play them. RELEASE, Learn the best way to release the swing so your body stays balanced after swinging the club. POSITIONS, Different clubs require different playing position, learn the correct playing positions for each club. CHIP & RUN, Covers making shots from further away from the hole. SLOPES, How to hit the ball from slopes, learn how to hit the ball going up slope, down the slope or sideways on slopes. This video takes you through various equipment that will sharpen your game, using a resistance board, club length and warming up, the football drill, shadow drill, ball between wrists drill, umbrella drill and training clubs. Thats over 2 Hours of one to one training and great advice, covered section by section, you can watch it over and over until you master each technique. Get your set of videos now and raise your game to a whole new level.